VisionLink has comprehensive resources to assist companies in performing market pay assessments. 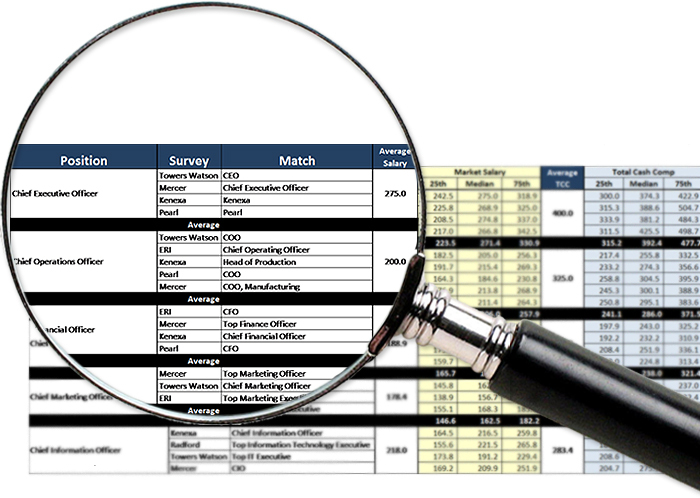 Our market pay analysis includes an evaluation of up to four data sources and incorporates a strategic process for determining the relevance and accuracy of that data in each client’s circumstance. For more information about Market Pay Assessments, click here.